This is a scary proposition to most people, but you really can get a lot into your hand luggage, and if you are a bit savvy it is entirely possible to avoid the costs of taking checking luggage. Just prepare your own shampoo in advance (in 100ml bottles) so that you can take your liquid supplies with you! Now I’m based in the UK, so I usually fly from Birmingham – but wherever you are based one thing remains the same; airport parking is expensive! 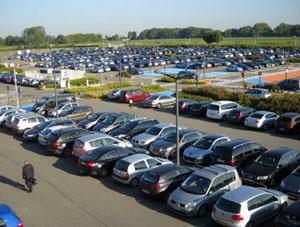 So make sure you plan ahead (the earlier the cheaper) and find a suitable parking option away from the airport. You save a load of money and you get taxied right to the terminal. If you are doing without luggage (tip 5) then you might well need ‘travel sized’ bits to fit in the hand luggage, these bits tend to be overpriced though. Having a quick look on Google for free samples will usually turn up a wealth of free miniatures perfect for flying! If you can be flexible with location you can usually get a better price on everything from flights to hotels. Let the free spirit in you go free and seek out interesting and cheap locations, check out flight costs and book a bargain. This is really scary, but it can be done. If you don’t book a hotel until you arrive in your chosen destination you can often get really good deals. Take a guide book, head off the beaten track and find cheap but acceptable hotel. This not only makes your vacation cheaper but also makes it a true adventure. So that is my guide to having a super cheap vacation; really it is all just a case of how much you are prepared to move outside of your comfort zone. If you do though, you will save money and perhaps have the vacation of a life time! Most importantly of course, the cheaper you can do it the more often you can do it!